Where are Bank 1 and Bank 2 sensors located? So you get your code scanner and it says something like, “Bank 1 Sensor 2“. So where exactly are these banks located? 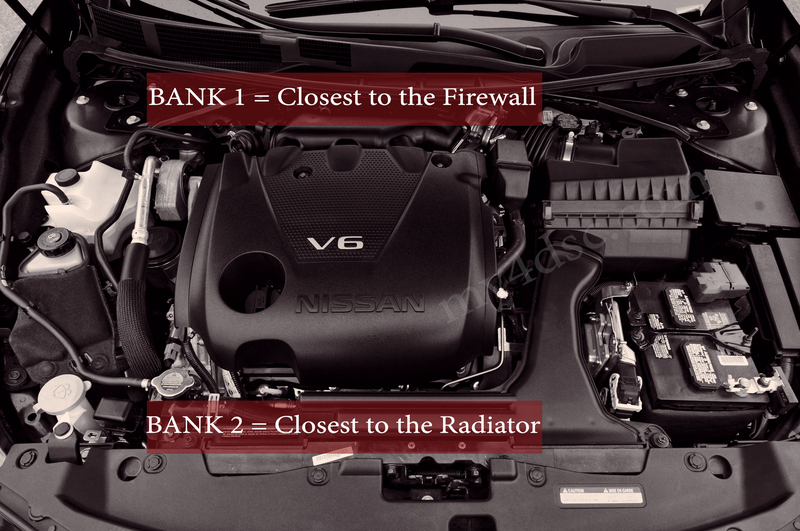 Bank 1 means that the sensor is closest to the Firewall. Bank 2 means that the sensor is closest to the Radiator. What does my Air Fuel Ratio (AFR) Mean?